Introduction: With the release of Age of Ultron in theaters in North America yesterday I finally got my chance to see the long awaited movie. Was it worth it? Hell ya it was even if I’m tired, groggy, and reliant on a lot of coffee to function this morning. However this isn’t a review of the film right now as I’d be fearful of spoiling anything for anyone. So I have decided to look back and how we have gotten here over the course over these last three years, however as this is a SPOILER FREE edition I can’t get into as much detail as I really want to. Also while I’m calling this a Phase 2 Retrospective, I am aware Ant-Man is the proper end to the Phase and not Age of Ultron, however Ultron clearly is the climax of the Phase so I feel there is enough justification for this. Phase 1 (2008-2012): With the Avengers in 2012 Phase 1 came to an end and saw the beginning of the much more ambitious Phase 2 films. Indeed Phase 1 of the MCU was quite simple starting with Iron Man 2; build the Avengers with SHIELD at their core. In the end it worked amazingly well however the ending left a lot of question of really what Phase 2 would be like in the end AFTER the world has been saved and it was revealed quite literally that gods walk among us mere mortals. A perfect example of this effect was New York which represented the first time a majority of the world would have seen the Hulk in action. Iron Man 3 (April 2013): Looking back Iron Man 3 much like Iron Man 2 before it had an amazingly unenviable position of being the first of the post-Avengers films in Phase 2. 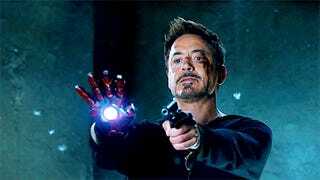 In many ways Iron Man 3 had to carry a lot of water for the franchise much in the same was as Iron Man 2 before it which had the unfortunate effect of holding down the film. What I mean by that was Iron Man 3 as a film was not great. However as a stone to build upon Iron Man 3 was actually quite adept at setting up the themes and underlying tensions that will flow through Phase 2. As for the first time it shows major changes within the MCU. In it we learn Tony Stark is traumatized by his actions in the Avengers whereby despite all his technology and wealth at his core he is still a man and as such vulnerable. Furthermore it’s the first major time we have seen Tony’s greatest weakness and indeed the source of his power in action, his fear. In the film is leads him in development of the House Party Protocol and as we later see the development of the Iron Legion. In the end Iron Man 3 as a piece of the Marvel Cinematic Universe the film is far better than as a mere stand alone film as it infuses a much needed dose of reality after the spectacle of The Avengers, a grand and glaring flaw in its most prominent member, and most importantly the underlying feeling that things are not the same as they were before. Indeed looking back personally I’m starting to see Iron Man 3 in a much more positive light then even when I started writing this. Thor: The Dark World (October 2013): Thor: The Dark World had a much easier job then Iron Man 3 did for a few reasons. The first is that Thor’s job has always been to set up the universal side of the MCU, meaning effectively Thor can just abandon Earth and ignore the consequences of his and the Avengers actions. Indeed that is exactly what happened as one of the main plot points is basically Thor is never around and that is hard for the people who he’s touched with his presence most notably his love Jane Foster. This is why as a film Thor: The Dark World seems to work better despite in many ways being lacking in both pacing, cohesion, and writing. Although it does have Loki and before Ultron Loki was to be honest the only serviceable villain in the entire MCU. From a world and myth building standpoint Thor: The Dark World did the simple task it was asked admirably. Introduce another super powered macguffin The Aether and let the after credits scene do most of the work. From a longer view of the film it was clearly the first step taken towards the post Phase 2 world and that of Avengers: The Infinity War. All together Thor: The Dark World was a much simpler film that worked at being what it was, however looking back post Ultron for me at least it seemed the least consequential of the Second Phase for a reason that will become abundantly clear later. Captain America: The Winter Soldier (April 2014): I’m not sure what to say here honestly. Other then this movie is probably the best stand alone Marvel movie there is. When I first saw it I thought it was tied with Iron Man however over time I’ve come to appreciate it so much more. The Winter Soldier is what ever Marvel movie should aspire to be. It’s easily the best film of Phase 2, even Guardians of the Galaxy doesn’t hold a candle to how amazing The Winter Soldier was. Okay sorry for that, but if you couldn’t tell I really like this movie it actually singly handily made Captain America my favorite Avenger (it helps his outfit is way cooler then the first movie). Now on to the why The Winter Soldier is amazing. First as a film it feels unique within the Marvel Cinematic Universe as unlike basically every other film The Winter Soldier is inherently a subtle affair, while yes there is all the super theatrics you’d expect from a super hero film there is also the feeling that something in creeping under the surface and nothing is what they appear. Of course the big reveal HYDRA the organization from Captain America: The First Avenger survived inside SHIELD for years confirmed that. However the fact that HYDRA could potentially be so powerful and influential (Senator Garry Shandling is HYDRA?!?) also shakes the core of the supposed good guys SHIELD. Where Thor felt almost pointless in the grand scheme of things The Winter Soldier is the polar opposite in that it is at the center of everything that has or will come afterwards. The Winter Soldier transformed the entire MCU by dismantling what previously was the glue of the entire affair SHIELD and by extension Nick Fury himself. Beyond the glaring changes the Winter Soldier wrought to the existing order of the MCU’s world it also had a concurrent but equally important if less noticeable effect as well. In that it started to introduce the ideological differences between the main Avengers that of the need for security and authority vs the need for transparency and choice. A key theme explored in both Ultron and presumably the upcoming Captain America: Civil War. Guardians of the Galaxy (July 2014): I got to say coming on the heels of the best stand alone movie in the MCU is a hard act to follow doing it less then three months later should have been impossible. Except James Gunn’s Guardians of the Galaxy actually did it. In fact Guardians is in my opinion probably the second best stand alone Marvel film (tied with Iron Man). Why because it’s actually stand alone when people compare it to Star Wars they’re not being hyperbolic fanboys it deserves the praise. When discussing Guardians place within Phase 2 I’ve always made the argument it doesn’t really fit other then in terms of release dates indeed I referred to it as a Phase 2.5 movie. After seeing Ultron however I can now clearly see its place firmly within the Phase 2 of the MCU. I won’t give the reason why as it would constitute middling spoilers for Age of Ultron but there is a reason. Other than that Guardians is actually the reason I see Thor: The Dark World as kinda pointless as this movie does a far better job of expanding the universe then the Dark World did. In many ways the universe that the Thor movies introduced us to seemed too limited and familiar while the Guardians of the Galaxy’s universe seemed limitless and truly alien. Furthermore long time fans finally got the confirmation we’ve all long suspected that the end goal of the whole endeavor are the Infinity Stones and Thanos (as teased at the end of the The Avengers) was finally officially introduced, as for the Stones themselves we now have three confirmed (and one suspected). Overall Guardians is great as a film in its own right and expands the MCU faster then any film before it. The Avengers: Age of Ultron (May 2015): It’s a really good movie and fills in a lot of the blanks the other movies left either intentionally or unintentionally. The character development is spot on (especially Hawkeye) and the introduction of the new Avengers while not seamless is still pretty good. It’s most certainly a Joss Whedon movie where his rapier sharp wit and Quicksilver fast tongue is present always. Most importantly I’d say finally a challenger for the throne of “Best Marvel Villain” has appeared to challenge Tom Hiddleston’s Loki in the form of James Spaders amazing performance as Ultron. Basically this movie was everything I was hoping an Avengers movie could be and now is. If you’re a fan this is the movie for you. Conclusion: As always thank you for reading. I hope you enjoyed reading it as much as I had writing it. As I mentioned above I could go into more details and perhaps I’ll add them in later as more people see Ultron but out of fear for spoilers I’m leaving them out. Any thought’s of your own perhaps where I’m wrong I know for a fact my tastes are not universal. Anything I forgot let me know.